Finding a lodging bargain in New York City is doable, particularly if you know where to look. My brother has touted Hotel 17 for years. Although he lives in Manhattan within walking distance, he knows about this hotel through friends who have stayed here. Part of its appeal is how Hotel 17 has retained an aura of New York City’s past. These days, the building in the lower end of midtown Manhattan, attracts an international crowd where quirky, clean and non-fussy has an appeal. The decor and ambiance evokes an old world European flavor. Now a New York City landmark building, the hotel’s architecture is so appealing that Woody Allen used it as a setting in Manhattan Murder Mystery. Because of Hotel 17’s location–just three blocks from Union Square Park’s 14th St. subway station, guests are at one of the transportation hubs of Manhattan. Chinatown, the East Village, SoHo and Washington Square Park are also close by. And if you like to walk, consider taking a stroll when you head out for the day. Walking in New York City is a fabulous experience for seeing how neighborhoods look distinct from each other, sometimes as quickly as crossing a street. One detail that places Hotel 17 in a budget range are the shared bathrooms. Each of the 100 individually decorated guest rooms that range from standard single to standard triple share a bath. Rooms are not barebones, however. LCD TVs with cable and WiFi are features. If you want daily maid service, request it. Hair dryers, irons and ironing boards are also on hand. 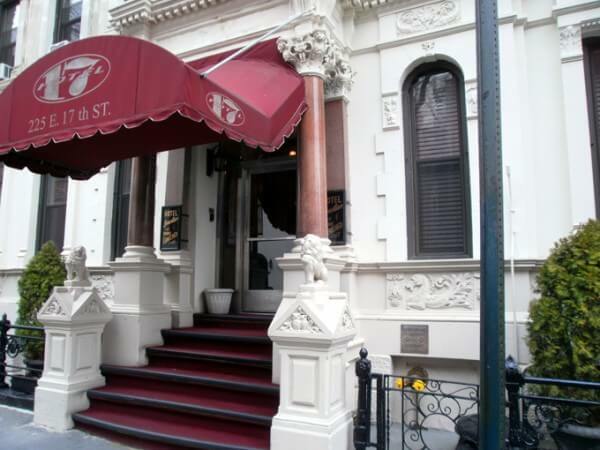 Although Hotel 17 does not have a restaurant, in this part of New York City, restaurants abound. Options range from neighborhood diners and coffee shops to ethnic to upscale. 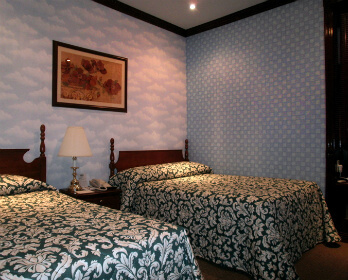 After the holidays, January 5 through February 28, 2013, Hotel 17 is offering a discount. A one night stay is 10% off. Stay two to four nights and the discount is 15%. Five nights or more, your 5th night is free. If you make a reservation and need to cancel, do so 24 hours prior to arrival. 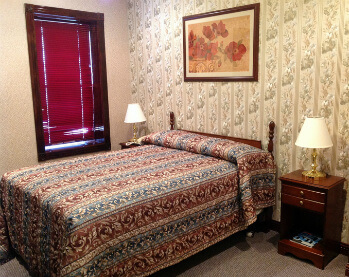 Room rates: $98- $134. Check online at Hotels.com.